“Children are like wet cement. Whatever falls on them makes an impression.” – Dr. Haim Ginott. And, Social Media is one of the biggest influence nowadays is harming this innocence with misconceptions and apprehensions. What could be the reason? Incomplete knowledge about the platform or falling in a cyber-trap could be primary two reasons. So, what can be done to overcome this problem? How can social media be made a safe learning and interactive platform for the little ones? 9 Important Ways to Monitor Kids’ Social Media Activities! Kids and social media can be a scary mix. As the usage of Facebook, IG, and Twitter is becoming common, so is the kids’ interest in accessing these platforms. In this case, it is rightful to be concerned with the cyber safety of the young children using the web. Whether your kid is just starting to use your tablet or your teen has a new smartphone, your involvement is necessary. After all, it’s a parent’s responsibility to keep the children away from the potential dangers and also to monitor their usage of social media. 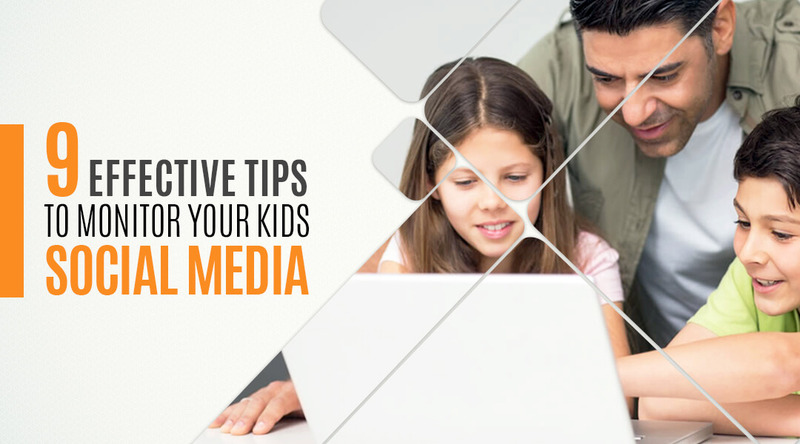 For this reason, here are some master keys to keep in check your kids’ social media activities without being nosy. First of all, you have to be tech savvy in order to keep your kids on the right path. If as parents you will not understand social media, you won’t be able to monitor your child’s online activities. And also, you will not be able to explain them certain drawbacks of internet usage. Apart from this, be a friend to your child. When a parent is like a buddy, kids tend to be more open. Also, as a friend, you can be a part of their social media profile. This will furthermore help you to keep an eye on the content your child is posting and sharing. Besides, you will get a better sense of what your kid is doing online. Well, in the current scenario, it’s not in the hand of parents to keep children away from social media. If you do not allow them using it at home, they will seek other ways. So, explain it to them (in a soft way of course) that there’s a certain age bar for accessing social media. Until you attain that age, you are not eligible to use it. However, kids may not take these terms very happily. But, you should tell them the consequences of not following it. Other than this, there are sites specifically for children, while others are only for the adults. For instance, sites such as Instagram, Facebook, and Twitter have a minimum age requirement of 13. Won’t it be foolish to give someone car keys before even teaching them how to drive? Similarly, it would be harmful giving your child complete access to the internet without laying ground rules. If your kid is old enough to use the computer by himself, he is old enough to understand the rules set for him. The limited usage per day, what not to look for on the internet, etc. should be well explained in the beginning.Instilling a sense of responsibility in your child for whenever they use the internet is a positive start for them. Well, you will agree to it hands down. It’s much easier to keep a track of kids’ activities when the computer/laptop/tablet is kept in a common area. For instance, in the living room, drawing room and so forth. Having the Internet limited to open family space offers easy tracking of the online habits of children. Not only you will be able to monitor your child’s activities easily, but the child will also be aware of your presence. And therefore, he/she will be less inclined to surf the sites that are prohibited. Another way is to use monitoring software. The software will send reports on a daily or weekly basis, recording the child’s Internet activity. Also, using this software, you can set up fences around the dangerous websites. This software is so easy to use that you can install it on your home network without any technical knowledge. Internet filtering & monitoring proves to be a handy tool. You can classify websites as prohibited and allowed. And, of course, then you can sleep, party or have time for yourself knowing the internet is safe to use. Kids are usually not aware of the ill effects of leaving profile to public. So, it’s again the parents’ responsibility to check the security settings on the account. All account settings should be customized at individual levels. It is also important to check the device that your child uses to access the social media websites. Not only will this prevent the device from malicious software threats, such as Trojans and viruses but will also protect unwanted intrusions from strangers. Make sure your kid aware of the term online reputation. Educate them about the permanence of the online world. Also, tell them that anything they post on the Internet stays there forever. Simply put, it is their digital footprint. Besides, posting only proper content sets you as a good person. Little ones need to understand that the effect of their social activities can be seen in the long run. Their posts determine so much about them. Regardless of what age the kids start accessing the internet, there are always certain online dangers. For instance, games pop-ups that can have access to the picture gallery, free giveaways offers and contests. Anyone could be tempted by offers, but kids are the most susceptible. So, it’s necessary to brief kids against falling for this kind of internet trap. Tell them; you know what they last searched or checked on the internet. For proof, throw in some examples from the history of internet usage. They will know they are in check. Also, often engage them in a discussion regarding their online experiences, both good and bad. This way, they might feel close and may not hide any sort of things from you. Behaving strictly with kids is not the right way to keep track of their social media activities. Instead, try a friendly approach, so that they follow what you tell them. 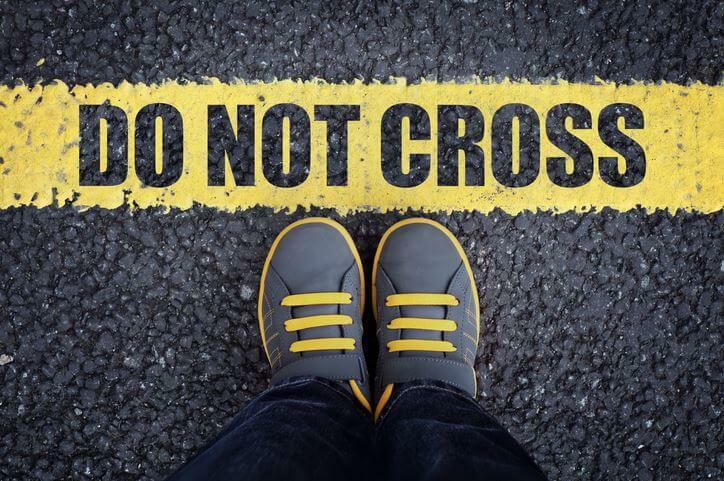 Otherwise, kids tend to become rebellious. It’s only you who can make or break the situation. Be certain that you are putting the right efforts to teach your child how to stay safe in the online world. We encourage you to share your experiences you had with your kid while he was introduced to Social Media in the comments section below.